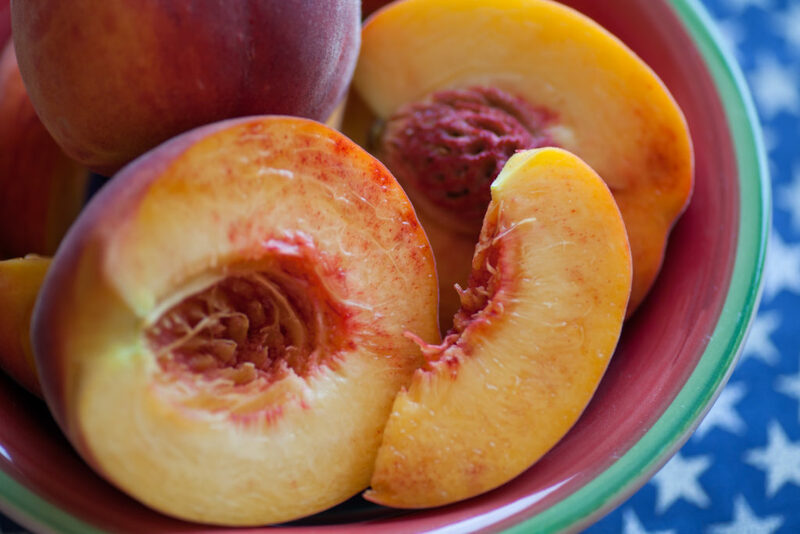 so we’ve been busy in our kitchen whipping up some delicious dishes that tie-in to our stone fruit season. 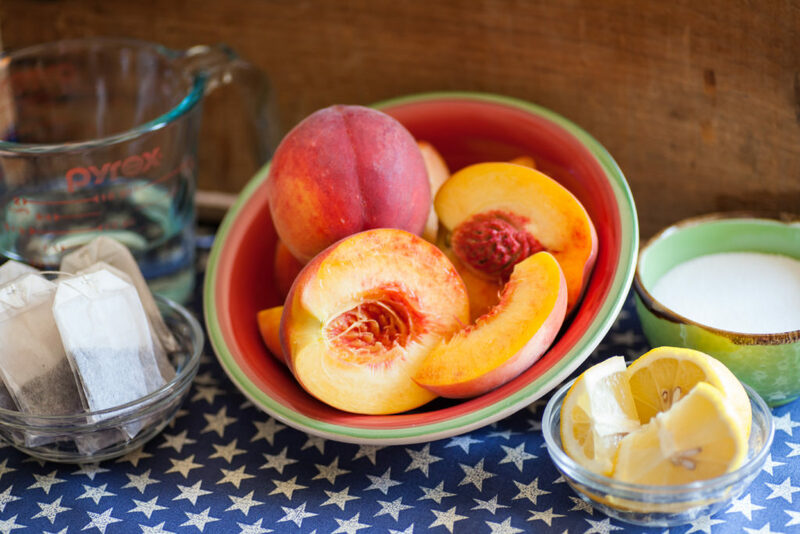 For the month of July, we will be featuring peach recipes that are sure to be a hit at your next picnic! We’ll be starting with drinks! 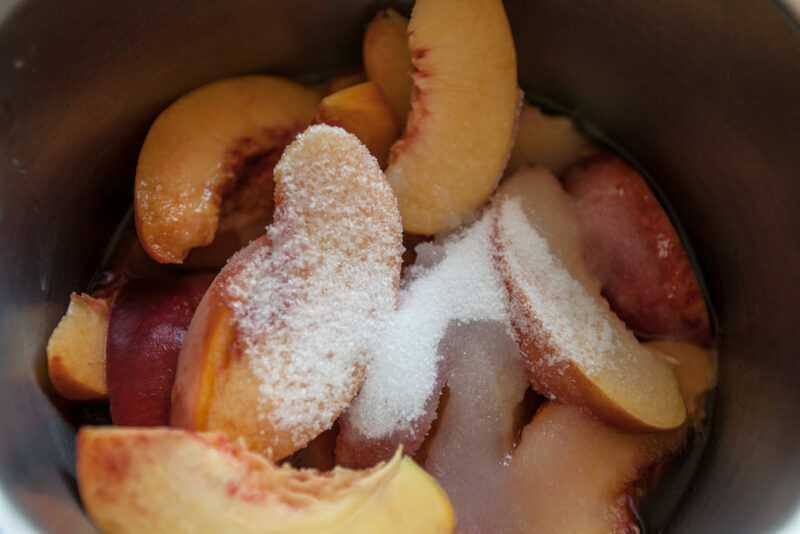 In a medium size pot, combine sugar, water and peaches. 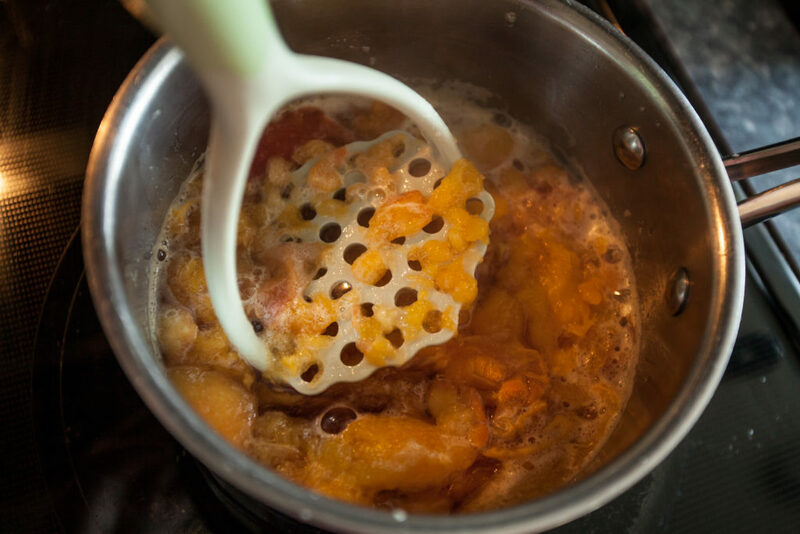 Do this on a medium/high heat, and press the peaches down as they become softer. Bring that mixture to a boil for 1 minute and let sit. Once it has cooled, strain the peaches from the rest of the liquid. 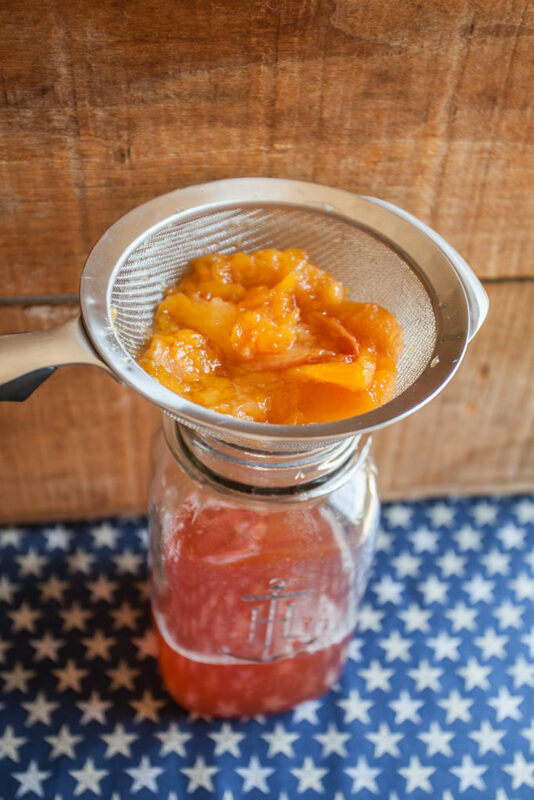 This is your peach syrup. Yum! Next, make your tea. 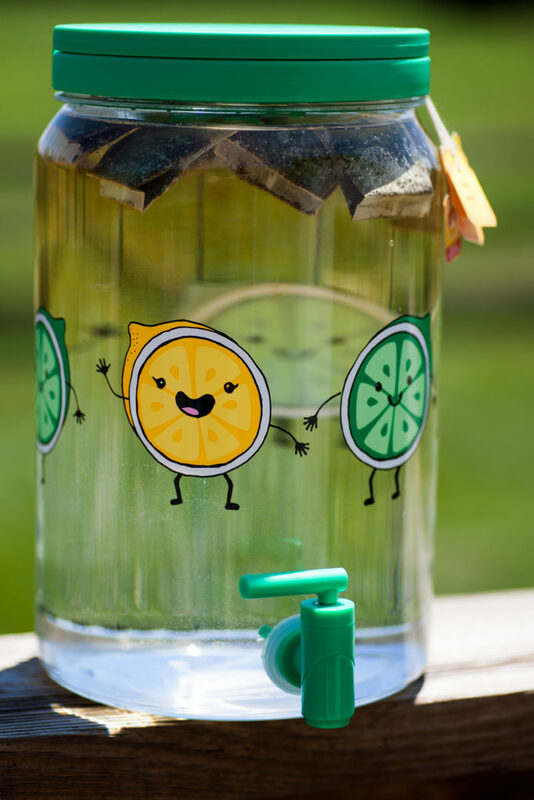 We did ours in a fun ready to pour pitcher. For reference, we doubled this recipe. Fill with desired amount of water, add tea bags. Let sit in the sun until it reaches your desired strength. 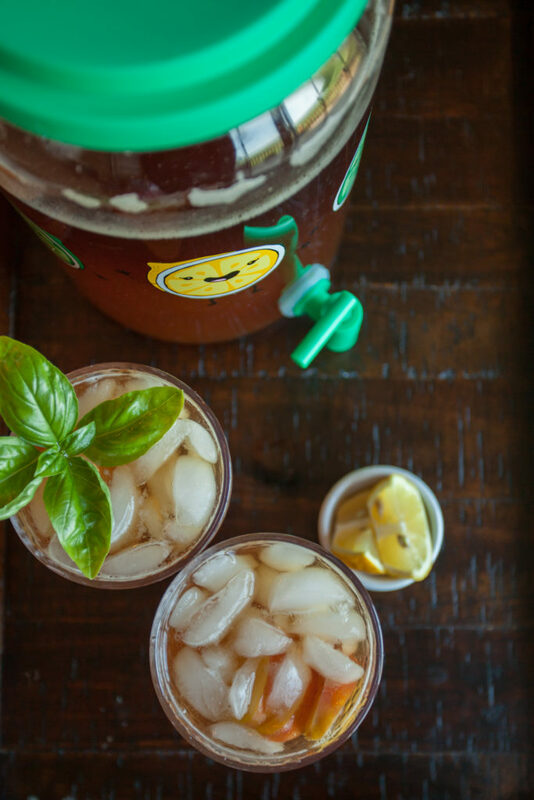 This is the best and most perfect way to make tea in the summertime. You can test it as the tea brews until it reaches your desired strength. On a bright, hot day, this will take around 3 hours to brew. Serve cold over ice. 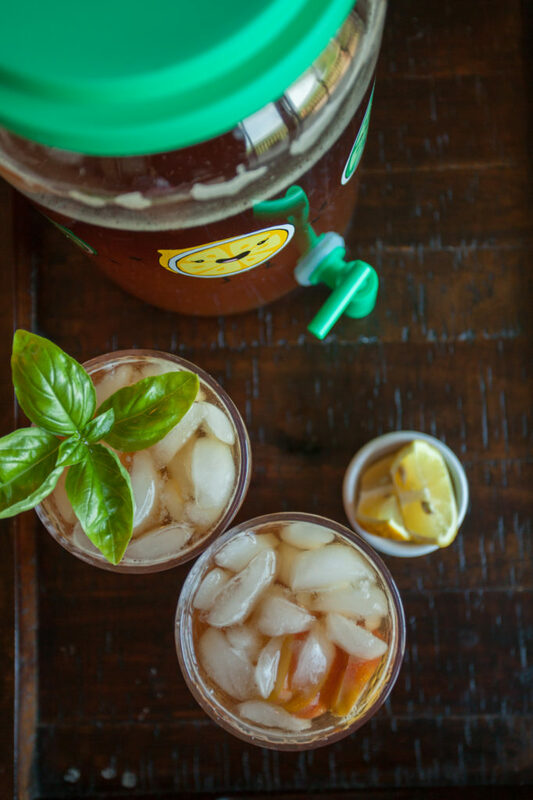 Garnish with a peach slice, lemon or even a basil leaf. So refreshing!